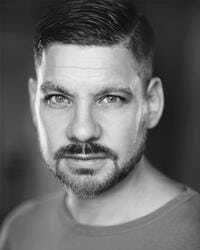 Todd recently filmed the role of ‘Artie Humber’ in HOLBY CITY, prior to that he played ‘Phil Layman’ in SHAKESPEARE & HATHAWAY and ‘Neil’ in BABS, all for the BBC. His other TV roles include ‘Bearded Mechanic’ in SILENT WITNESS, ‘Jonny Townsend’ in SUSPICION and ‘Drunk Ringleader’ in REV! On Film, recent roles include ‘Woody’ in THE INTENT 2, ‘Scott Giles’ in BRUMVILLE, and ‘Biff’ in GOODBYE MR VAMPIRE. Stage includes ‘Martin’ in SONNY & ME for purple Geko, and ‘Mark’ in DIAMOND HARD for Furious Theatre amongst others. Todd recently played the role of ‘Glenn Neyland’ in EASTENDERS, prior to that he played the role of ‘Artie Humber’ in HOLBY CITY, ‘Phil Layman’ in SHAKESPEARE & HATHAWAY and ‘Neil’ in BABS, all for the BBC. His other TV roles include ‘Bearded Mechanic’ in SILENT WITNESS, ‘Jonny Townsend’ in SUSPICION and ‘Drunk Ringleader’ in REV! On Film, roles include ‘Woody’ in THE INTENT 2, ‘Scott Giles’ in BRUMVILLE, ‘Biff’ in GOODBYE MR VAMPIRE, GREEN STREET 3 and OFFENDER. Stage includes ‘Martin’ in SONNY & ME for purple Geko ( Edinburgh Fringe ), ‘Mark’ in DIAMOND HARD, and TRACKSIDERS ( Camden Fringe) for Furious Theatre amongst others.